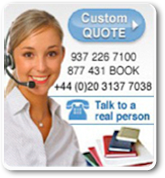 LogBook Store is a leading worldwide provider of custom build-to-order books. Our process and technology innovations enable us to produce extremely high quality books, made to your exact specifications, in small or large quantities, in record time. All this at prices often 30-40% less than the competition. Our Scientific and Engineering Notebook Division specializes in manufacturing bound Custom Laboratory Notebooks, Engineering Notebooks, Record Books, and Log Books for the scientific, engineering, medical, and consumer products industries. We deliver a quality, archival-safe product, at a low cost, while giving you infinite content flexibility and we get your books to you fast. You no longer need to order large quantities of books to get a good price--with LogBook Store you can order low quantities and we will give you your annual volume price. Add your logo to our standard notebooks with an order of 25 or more. available for book orders of 50 or more.